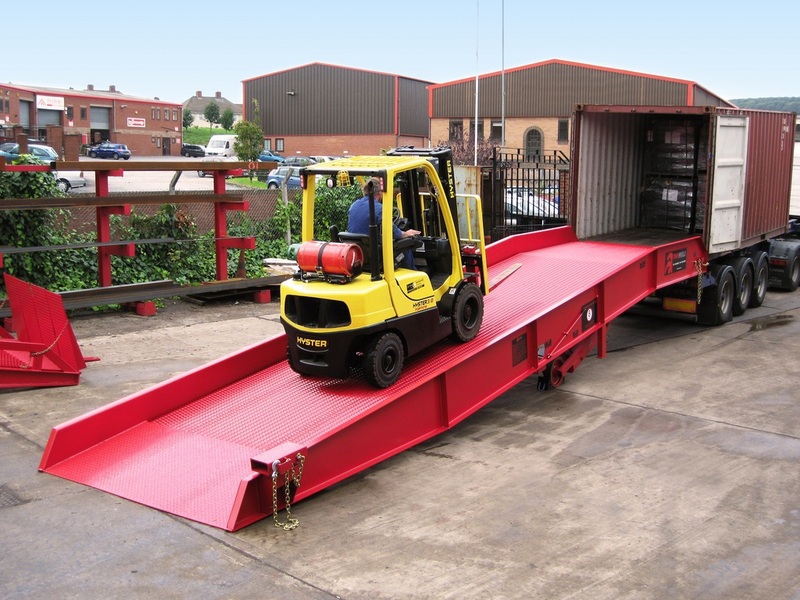 Interfloor’s busy warehouse facility had been operating two, regularly serviced, rented Thorworld mobile yardramps; positioned to safely load and offload raw materials to and from trailers using a fork lift truck. The equipment had been functioning effectively for three years, however to keep the apparatus updated, Interfloor opted to replace both ramps with brand new, like-for-like equipment, and commit to a further three years rental contract. Interfloor’s warehouse manager, Colin Bateson says: “We regularly export to over 70 countries worldwide, which leads our loading bay equipment to experience frequent levels of demanding use. Colin goes on to say how by benefitting from the installation of brand new, like-for-like Thorworld ramps, his loading team wouldn’t be at risk of using overly worn apparatus and would instead be able to perform duties and drive warehouse vehicles on newly appointed, engineer certified ramps; ensuring safe operation and guaranteed compliance. “The rental rates Thorworld offers us are also extremely fair and can be made on a monthly basis to provide full flexibility. In addition, we chose to have the ramps serviced by Thorworld to guarantee a plan of expert maintenance and ensure utmost safety standards throughout the lifetime of the equipment. Mark James, administration director at Thorworld Industries, adds: “It’s terrific to hear that the Rent-a-Ramp scheme is working so effectively for Interfloor. We designed the scheme to provide clients choosing to rent equipment from us with complete flexibility.